Few things in life are more devastating than receiving a call in the middle of the night to hear your loved one has been arrested. Get what you need to get them home with help from the professional bail bondsmen at A Plus Discount Bail Bonds in San Marcos, TX. With more than 20 years of experience, this proven company is dedicated to providing fast and reliable services to individuals and families across Hays County. This dependable bail bondsman is proud to offer clients quick and cost-effective solutions when they need help the most through their 24/7 service. These experts take pride in keeping situations confidential and processing bond fees in a secure environment. Don’t forget to ask staff members about convenient discounts for hiring a lawyer and being enrolled in college. Your loved one deserves to have the opportunity to prepare for legal proceedings from the comfort of their own home. 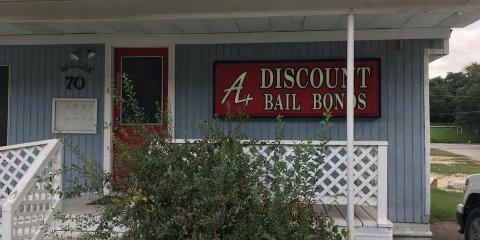 For a trusted bail bonds service, go with the friendly folks at A Plus Discount Bail Bonds. Call them today at (512) 392-5500 or visit them online for more information.